Are you a wise owl? Then you’ll know grammar matters. Firstly, it helps you write well. But it’s also essential for school. Grammar and punctuation are back on the school curriculum in a big way. But don’t get in a flap. Our simple workbooks tidy up your skills in a fuss-free way. No sweat. No mistakes. All the basics made easy in fun activities matched to the school curriculum. Get all those pesky rules straight. 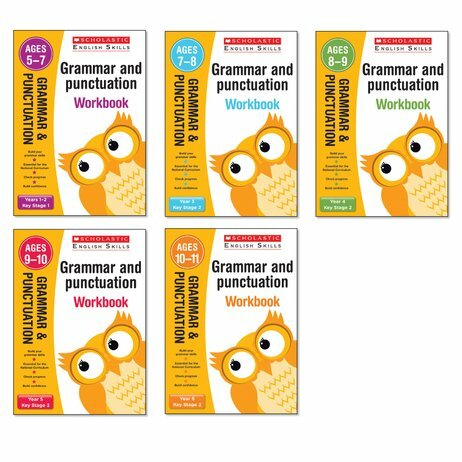 This pack contains one copy of all five grammar and punctuation workbooks for Years 1-6.